With 10,000+ installations, Focus POS is trusted by some of the biggest names in hospitality. You’ve tried the rest. Now try the best. Free yourself of grids and boundaries. Focus POS software allows you to place any button type anywhere on the screen giving you complete control. Want menu items, modifications, payments, discounts, and commands all in the same view? You got it. Zero to sale in one button push. Focus POS software’s unique POS design allows employees to enter orders with minimal button pushes- ensuring that both your customers and your profits stay happy. Focus Point of Sale. Easy. Fast. Powerful. In regards to our table service POS system, the improvements RCS helped us with allowed a more efficient delivery mechanism, having measurably improved our ability to meet and exceed our customers’ expectations, and generate valuable new percentages of revenue from areas that previously did not perform as well. They even helped us implement the POS on iPads® – allowing us to take customer orders and payments anywhere in the restaurant! Focus POS gives our employees the ability and freedom to focus on customer service – an absolutely crucial part of our business. Its ease of use allows for quick order entry. 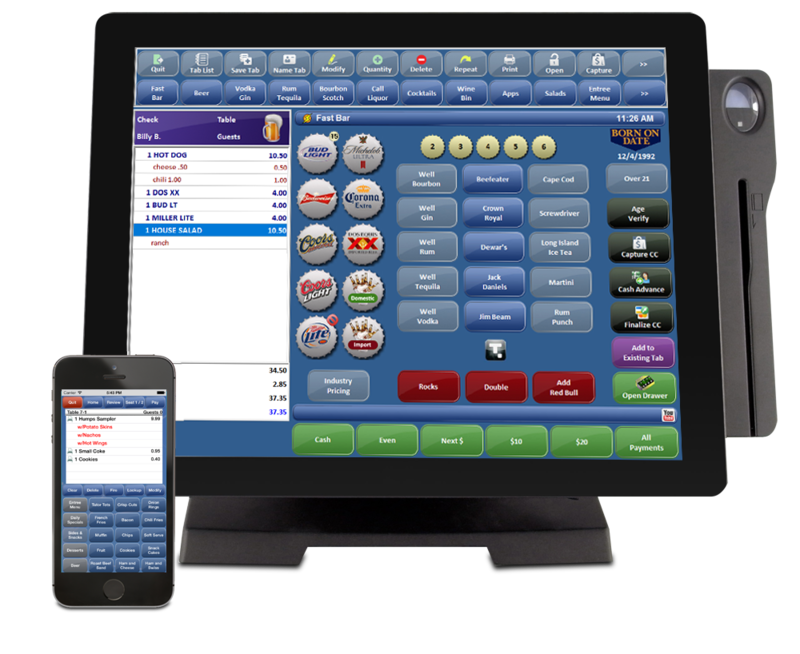 Focus POS is completely customizable and can be set up to meet all of our POS needs. We have the ability to easily and quickly modify buttons, canvases and menu items to mirror our menu. Its reporting functions give us all the information we need to analyze the day-to-day sales figures of our restaurants. We have been using Focus POS at our locations since 2006. Focus has the best reporting system of all the POS software that we have looked at. It is very easy to track sales, employee performance, comps, and attendance. Programming menu items and setting time ranges is very easy. We have been using RCS for tech support since 2009. They have always been very helpful and knowledgeable whenever we call in for software updates or Focus issues. We intend on using Focus and RCS as long as we are in business. Our companies have worked with Focus POS for many years to help grow our brands. Focus offers an easy to use, customizable, steady system that we can rely on so that we can dedicate our attention to what’s most important, serving our guests. The service, support, and knowledge of their team is unmatched in the industry, and each new venture is always met with a positive, innovative attitude. Partnering with Focus has been a great decision for our business in all aspects. Working with Focus POS has improved our business in many ways. Not only is their software easy to use for our employees, but the multitude of features has helped our day-to-day operations run much smoother. The sales tracking and customization options have improved our operations exponentially. We also appreciate that when we do run into questions or problems, the Focus staff is always willing to solve the issue. We are strong believers that their customer service is top notch and we love working with their employees. Focus POS has been an instrumental management tool in the success of our operation. With their cloud based reporting, I can view info on all of our locations from anywhere. Focus provides a powerful user interface that is ridiculously simple to operate, practically eliminating staff POS training. Our partnership with Focus POS has been the most beneficial of our entire franchise – I can’t recommend them enough! El Palenque Mexican Restaurant has been a client of Focus POS since 1994, we have been very pleased with their point of sale restaurant software, they have an excellent product which has been a true asset to our company.